Movement is an expression of life and vitality but If our joints did not move then neither would we! We need to keep them healthy and working so we can do everything we need without pain or inconvenience. Reversing the car, going for a jog, or just bending can be a challenge but if the joints are not damaged then they can certainly be improved. A light stretch at the end of the range of movement, sustained for a few seconds and repeated a few times will begin to make a change, no matter where the joint is in the body. The quality of the tissue is really important too. Healthy tissue is much more likely to respond. Bone, joint Capsule, Ligament and Muscle all need good nutrition, hydration and oxygen to function properly. If you reduce the quality of the supply you reduce the potential for the joint. The great majority of people who come to the clinic do not have an orthopaedic condition, they just have tightness in their joints. It is helpful to remember that there is a direct relationship between pain and tightness. If you can mobilise a joint and get it moving then the pain will reduce noticeably and if the joint is basically healthy the pain may go altogether. Knees, hips, spine and shoulders are the most common presentations but the spine, of course, is the most important because it contains the central Nervous System which sends branches (Peripheral Nervous System) out to everything in the body. If the spine becomes tight then it often upsets the supply of nerve coming from that spinal level and this in turn reduces the functional capability of the joint, muscle or organ that it supplies causing for example, shoulder pain, headaches or Sciatica. That’s why good spinal mobility is so profoundly important for all of us. Not just because we want to bend and turn without pain but because all our joints, muscles and organs, in fact everything in our bodies requires an uninhibited Nerve supply for normal function. 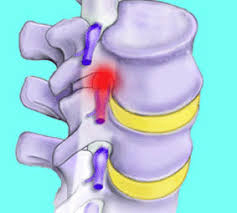 If the spine is tight and slightly changes the Nerve Supply to a muscle then that muscle in turn can become tight and refer pain into a joint. That is why when treating , for example, a knee you would first check the Nerve supply from the Spine and then the muscles going to the knee before assuming it is the knee joint itself which is causing the problem. 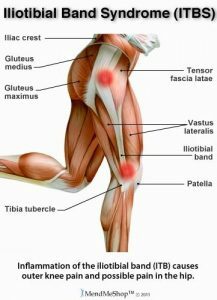 In runners, for instance, it is very common for the TFL muscle or Ilio-Tibial Band on the outside of the upper leg to refer pain into the knee joint, but you could be forgiven for thinking that it is the knee itself giving you the pain! Movement is also important for Cardio-Vascular, visceral and deep tissue health. Heart and lungs delivering quality blood throughout the body gives us a better opportunity for repair and vitality, and in turn wellness and fitness. Movement increases heart rate, strengthening the system and encouraging the exchange of nutrient rich fluids at a cellular level. This exchange of fluids also helps us to eliminate unwanted collections of toxic material and waste products from digestion and cellular metabolism. So, Cardiac exercise is useful in the right amounts and getting out of breath every day is something I recommend to patients. You don’t have to get changed or spend a gym membership to increase your heart rate. A brisk walk is a high value, low impact and hopefully enjoyable activity. “The simple secret of High Intensity Training. In conclusion, the body is designed to maintain itself and movement is an important part of that process. It can be broadly divided into Cardio-Vascular fitness and joint mobility. Addressed in the right way for your particular body it is essential for good health. Not only is there a, “feel good factor” associated with movement but we know it will also help to reduce the incidence of visceral conditions such as stroke, heart disease and bowel cancer. It will also reduce the onset of Musculo-skeletal conditions such as Brittle bone disease, Osteoarthritis, and cramps. Prevention is all very well but sometimes there are symptoms for which we need advice and treatment. The next article will discuss the contribution of Osteopathy and Acupuncture. Article written by Charles Tisdall.